Searching for custom and lifted trucks and SUVs? 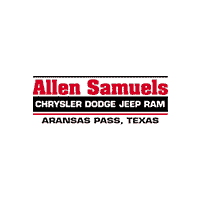 Allen Samuels CDJR Aransas Pass is here to help off-road fans from Corpus Christi and beyond find their perfect lifted vehicle. We’re happy to customize your SUV before delivery, and our selection of Jeep performance parts lets you tweak the vehicle to your precise specifications. The Texas Off-Highway Vehicle Program offers a wide array of off-road areas, but you’ll need a vehicle that can stand up to rugged terrain. Explore our custom and lifted SUV and pickup inventory to shop your options before visiting us near Corpus Christi! We can Customize and Lift your vehicle prior to Delivery! Why Buy Custom and Lifted Trucks and Jeeps from Allen Samuels CDJR Aransas Pass? To start, our custom lift kits let you decide the ideal lift height for your vehicle, and options range from the Ram 1500 to the tough Jeep Wrangler. If you don’t see a lifted model you want, contact us to ask about equipping your next truck or SUV with a lift kit. Already see a lifted vehicle that catches your eye? Give us a call at (361) 386-2626 for more information!